Property transactions rose 23% in October! 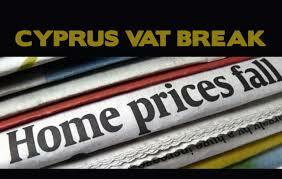 According to Cyprus Business Mail property transactions in Cyprus rose an annual 23 per cent in October, three months after the parliament passed a tax breaks package aiming at boosting activity in the real estate sector. In January to October, overall property transactions rose 8 per cent to 3,993 compared to a year before, the department said in a statement on its website on Wednesday. In July, the parliament reduced property transaction fees and suspended the capital gains tax for property buyers. Transactions in Famagusta district rose 4 per cent to 29 while in Larnaca they fell 1 per cent to 87, amid increased activity in Nicosia, Limassol and Paphos. Foreign buyers bought 65 properties in October and 477 in the first ten months of the year, compared to 36 and 351 a year before respectively, according to the department.